Thanksgiving dinner ready for harvesting. I have been seeing flocks of them about everywhere I go the past few weeks. I'd guess they are trying to load up for winter. 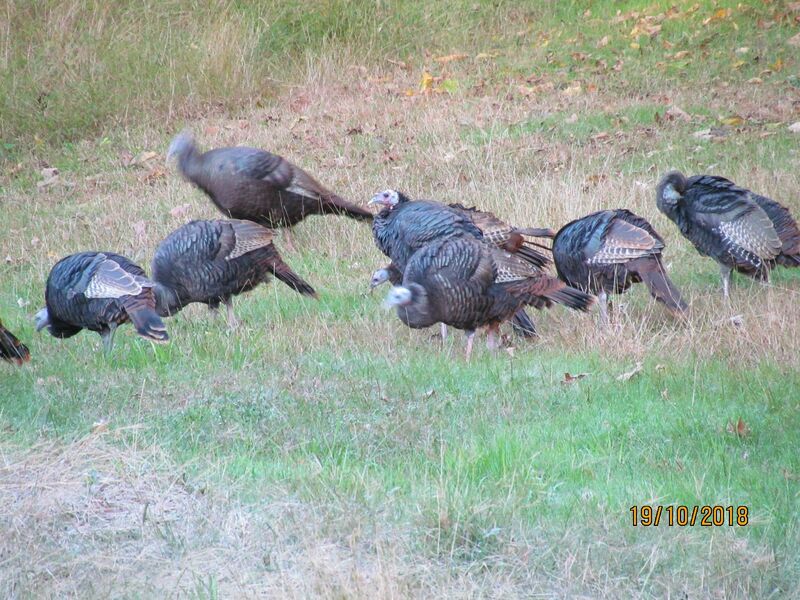 The biggest bunch I've seen was 32 in my back yard and I was once entertained by a five minute knock down drag out Tom Turkey mix-up. They were jumping up in the air at each other not sparing the spurs, but the finality was when one got the others head in his beak and pinned him to the ground until he said "Uncle". I wish I had a video of that fight, quite interesting. I have watch the Tom's face off and do their Puff and strut stuff, but that was the only fight. 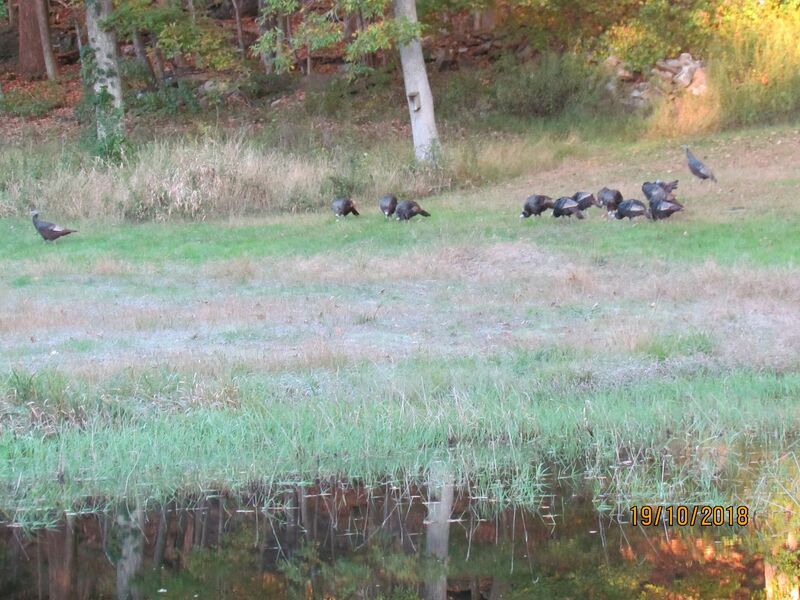 Amazing the number of turkeys these days. I hardly ever saw any 30 years ago. I see those large gaggles every so often. Good eating after cooking a few hours on a smoker. Darn Art, I need to bring my a5 out to your neck of the woods. We got 'em out west, too. Seen several big gaggles of them over the hill, and they shoot (shovel, shut up) them around the semi-rural neighborhoods around here so they don't set up shop in the area.